Outer layer in premium leather, treated to resist water. – The Quad Core System for the management of weight, better comfort and performance. – Neo Gel for an enhanced protection from shocks. Fusion Gel – For the management of energy of the blow and the increase in durability. – Sportline 3d system for the management of temperature humidity. Closure – Lace. This item hasn’t been reviewed by our team yet. 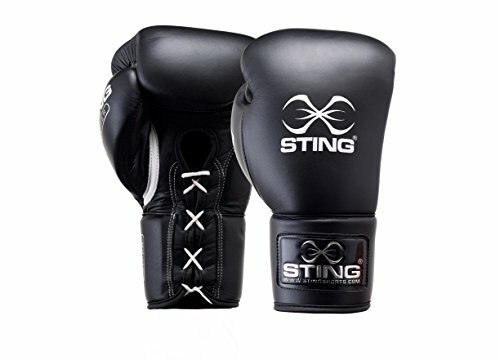 If you own Sting Viper Pro Boxing Gloves, you can leave your review bellow or if you would like to be one of MMA Gear Addict authors, please get in touch with us.